Waterbabies will love this bright, contemporary spa attached to a modern hotel on the banks of the River Thames. 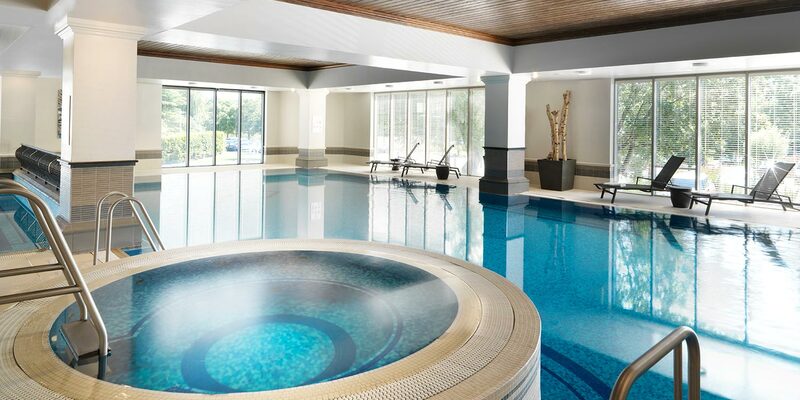 Inside, there’s an 18-metre indoor pool and whirlpool; outside there’s a large pool, only open during the summer. The spa also has a huge eucalyptus-infused steam room and a hot traditional sauna to relax your limbs before enjoying Guinot or ESPA treatments. In the changing rooms, you will find a women’s only sauna with a plunge pool. Great for swimmers and spa-ing with friends. 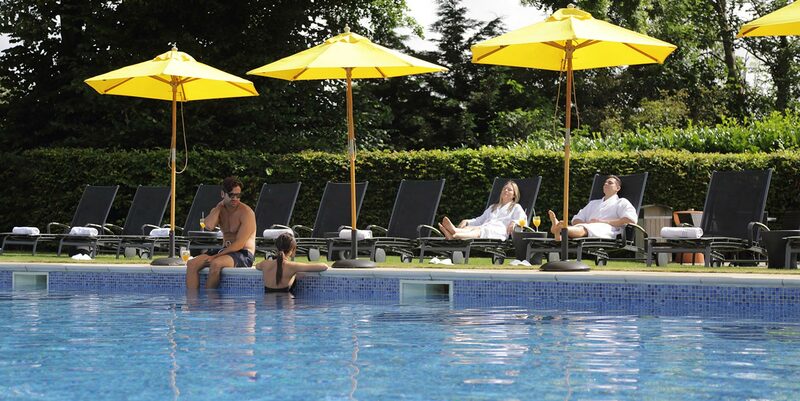 The Runnymede on Thames is a vibrant, contemporary hotel and spa by the River Thames in Surrey. Overlooking the Runnymede Meadows, this historical location is where King John and his noblemen sealed the Magna Carta in 1215. As you drive into the complex, the modern wooden and glass building gives way to green lawns; park in the large circular driveway spanning the front of the hotel. If you're visiting The Runnymede on Thames for the day, you can reach the spa through its own entrance; a glass corridor leads to a clean and cosy reception. This has a manicure and pedicure station on one side and a small pre-treatment waiting area with comfortable lime-green chairs. Help yourself to fruit-infused water. Staff will issue you with a day spa bag containing a robe, slippers, a magazine and complimentary ESPA body moisturiser. The spa has two sets of changing rooms: one close to the fitness studio with lockable shower cubicles, the other accessible directly from the pool area. We used the latter, a cosy, warm space with walls of medium-sized wooden, keypad-operated lockers. The vanity stations have large mirrors, hairdryers, and cottonwool pads and buds. The four rain showers contain ESPA shampoo, conditioner and body wash. Here, too, is a women's only sauna seating six, and an icy plunge pool for cooling down afterwards. 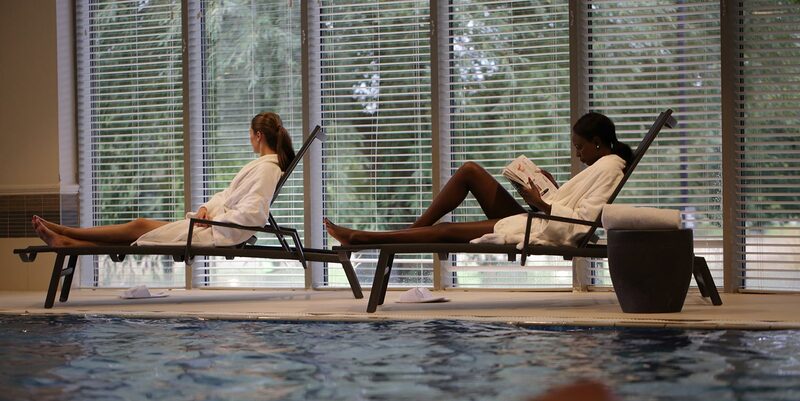 A relaxation chair with three massage programmes is perfect for guests unable to use the thermal facilities. Runnymede's thermal facilities include an 18-metre pool and separate kids' pool (check the website for dedicated family swim times). Floor-to-ceiling windows let dappled sunlight flood into the room; this is nicely offset by dark oak ceiling panels. Relax on a lounger afterwards. A raised terrace leads to a spacious eucalyptus-scented steam room, which seats around ten, and a hot wooden sauna large enough for eight guests; cool down in one of two experience showers afterwards. The Runnymede on Thames also has a large outdoor pool and a hot tub that looks out over the river, these are open during the summer at a small extra cost to spa-goers. 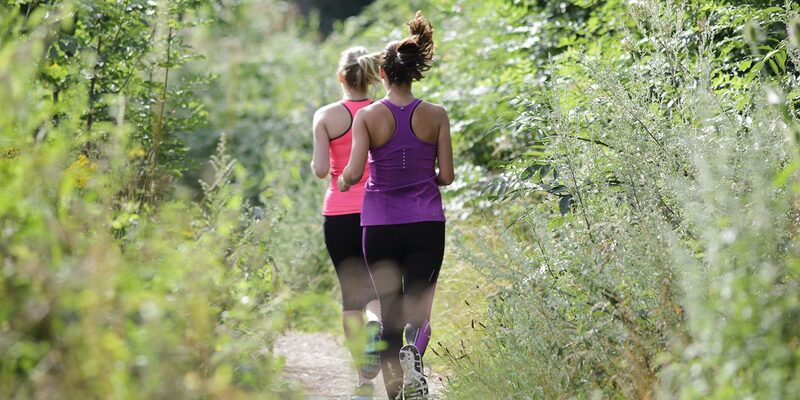 You can also try the tennis courts, gym and a fitness studio with a good range of classes. We tried the Top to Toe treatment (85 minutes, £100). My therapist, Lucy, met me in the seating area by the spa reception and escorted me to one of the six treatment rooms; it was generous in size with a centrally-positioned bed. Lucy carried out a detailed consultation -- asking questions about my skin, lifestyle and where I hold the most tension -- before explaining more about the treatment, which incorporates a Lift and Firm Body Butter by ESPA. Lucy then invited me to lie face down on the treatment bed and covered me with fluffy towels. The bed was wider and more comfortable than usual, helping me to relax. Lucy began the massage on my legs, switching between long, flowing movements and kneading when finding pockets of tension. The body butter felt like it melted onto my skin and was far less greasy than an oil. Moving up to my back, Lucy spent a good amount of time stretching and kneading out the knots in my lower back and shoulders, something that was much appreciated. She went onto massage the front of my body and shoulders. Lucy's short facial felt like one beautifully-scented massage and included a cleanse and exfoliation, both of which she removed with hot mitts. Lucy then treated me to a deeply relaxing scalp massage using ESPA's famous Pink Hair and Scalp Mud. The Top to Toe treatment ended with a serum, some eye cream and a good dollop of facial moisturiser. I came round slowly. The only thing I could have wished for at this point was a darkened room in which to have a quiet snooze. The spa at the Runnymede on Thames uses two product houses: ESPA and Guinot. Choose ESPA if you're looking for natural face and body treatments or Guinot for results-driven treatments. 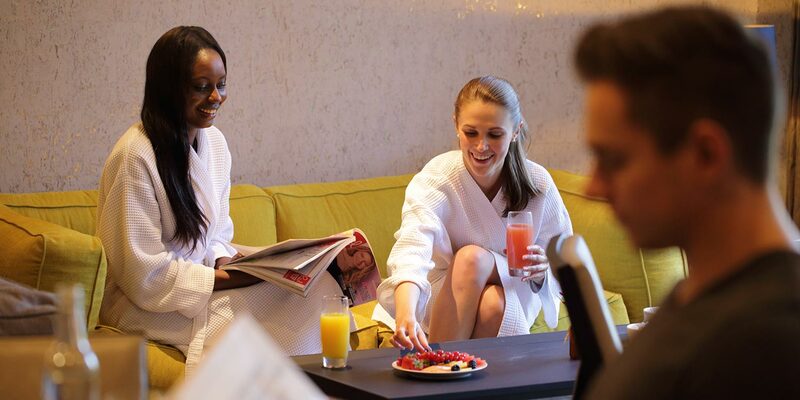 The spa menu also offers manicures and pedicures, treatments for mums-to-be and men, and beauty finishing touches. You can eat lunch in your robe in the spa's Garden Room, a homely space with bright sofas where you can relax with friends. Pillars break up the room, while a small outdoor terrace opens in the summer season. Having pre-ordered our lunch on arrival, we opted for the only vegetarian dish on the menu: a vegetarian salad. Sadly, this was a bit lacklustre; my spa partner's smoked-salmon quiche was well received, though. A broader menu would be a welcome addition to the spa. If you're staying overnight, you can dine at The Lock Bar and Kitchen, a vibrant bistro that looks out over the Thames. Don't miss the AA award-winning breakfasts featuring everything you could possibly wish for, all freshly prepared. Our treatment: Wonderfully indulgent, and our skin was soft to touch for a couple of days afterwards. The friendly atmosphere: We love seeing happy staff in a spa. That, coupled with friendly spa members and guests, means we would happily return. While we loved the location on our summer visit, the indoor relaxation areas could feel a little small during the winter months. Being vegetarian, and preferring to eat healthily, the food wasn't to our personal taste, but we saw other spa-goers enjoying their lunches and desserts. Groups of friends: We spotted several small groups of friends using the day as an excuse for a much-needed catch up. Business guests or those with a layover at Heathrow: The Runnymede is less than ten miles from the airport, allowing you some chill-out time pre- or post-flight. 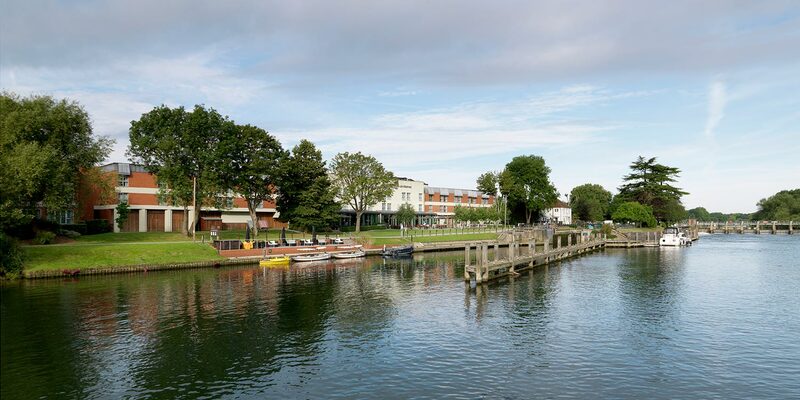 City escapers: Stressed-out Londoners can be at The Runnymede on Thames in just 40 minutes, with regular trains to Egham from Waterloo Station. We awarded the Runnymede on Thames a Good Spa Guide Bubble Rating of 4 bubbles. The well-thought-out spa, excellent treatments and lively atmosphere make for a fun spa day. A wider, healthier choice of food on the spa menu would elevate The Runnymede on Thames yet further. Supreme Spy visited in June 2018 and awarded it 4 Bubbles. "hi looking for a mummy daughter spa day out, for her birthday. need some prices and then I will book." "Hi I am looking yo take my daughter for a spa day with a treatment and maybe a lunch package could you send me prices and info. Many thanks "
"We did the Mum & daughter spa today (my daughter is 14). It ran from 3pm to 7pm & included treatment & refreshments. The afternoon was perfect. The hotel & staff surpassed my expectations. Fantastic!" The Lock Bar and Kitchen for informal dining at lunch and dinner; the Leftbank Restaurant for breakfast, lunch, and dinner buffet style eating; The Lounge for light lunches and afternoon tea.